Almost 50 lakh men lost their jobs between 2016 and 2018, according to a new report published by Azim Premji University’s Centre for Sustainable Employment. The report said the “beginning of the decline in jobs” coincided with the government’s demonetisation exercise in 2016, “although no direct causal relationship can be established based only on these trends”. The State of Working India 2019 report said that unemployment in the country has risen steadily since 2011. The overall unemployment rate was pegged at around 6% in 2018, double what it was between 2000 and 2011. The report was released on Tuesday in Bengaluru, where the university is located. The report used data from the Consumer Pyramids Survey of the Centre for Monitoring the Indian Economy or CMIE-CPDX as official data on unemployment from the Periodic Labour Force Survey conducted by the National Sample Survey Organisation have not been released. Findings of the Periodic Labour Force Survey which were leaked in January also recorded the unemployment rate in India at a 45-year-high of 6.1% in 2017-’18. The report said unemployment is prevalent among the higher educated and those in the age group of 20 and 24. This age group accounts for 13.5% of the working population of urban men, but 60% of the unemployed. 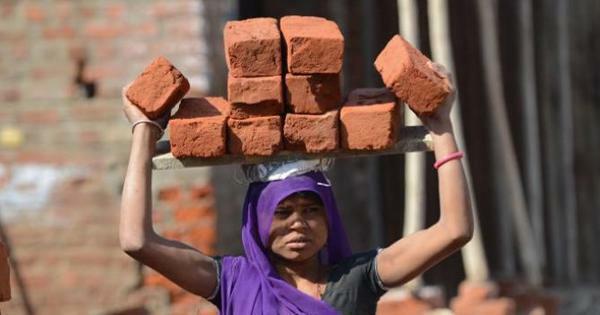 The report also concluded that women faced higher unemployment rates and lower labour force participation rates. The CMIE-CPDX is a nationally representative survey that covers about 1,60,000 households and 5,22,000 individuals. It is conducted in “three waves” spanning four months, beginning from January of every year. The report said the last three years have been ones of “great turmoil in the Indian labour market” and in the system of labour statistics.